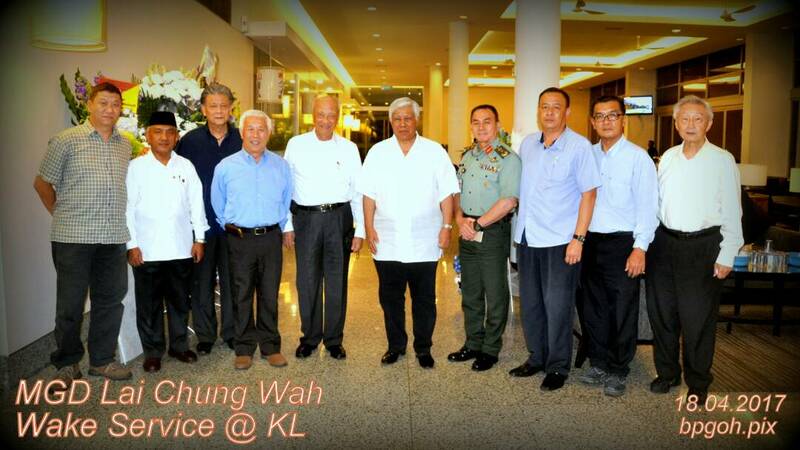 Maj Gen Datuk Lai Chung Wah (Rtd) left us on the morning of 17 Apr 17 at Hospital Angkatan Tentera Tuanku Mizan, Wangsa Maju, Kuala Lumpur. He hailed from Kampar, Perak and joined the Army on 27 Jul 1952. Among the Templer's 12, the first time ever when non Malay Potential Officers were selected for the Army. Trained in Port Dickson, Eaton Hall and​ Royal Military Academy Sandhurst, he graduated in 1955 and joined the 1st Bn Federation Regiment. He also graduated from the Command & Staff College, Quetta, Pakistan in 1963. Promoted to Colonel in 1971 he was made the 1st Commandant of PULADA, when the British handed over their Jungle Warfare Training Centre in Kota Tinggi, Johore. He was also the 2nd Commandant of the Defence College, Haigate with the rank of Brig Gen. Later whilst still at the College, he was promoted to Maj Gen, personal to holder. He's only the second Chinese officer ever to be granted that rank in his era. His final appointment before retirement, also a first, was Inspector General of the Army Inspectorate Team. 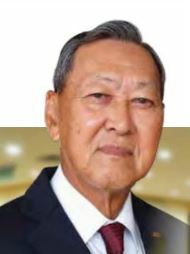 He was awarded three Diplomas, one by the Armed Forces Defence College for Defence Strategy and Joint Operations Studies, The National Institute of Public Administration, Malaysia (INTAN) on Defence Resources Management in 1981 and Defence Resources Management Education Centre, Department of Defence, United States of America on Senior Defence Resources Management in 1983. He was appointed as the 5th Chairman of the Council and Commander-in-Chief of St. John Ambulance of Malaysia from 24 Apr 1991 to 20 Oct 1991 where he introduced the white tucked-in shirt with black pants for male members and officers. 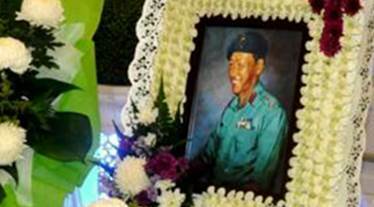 He served the Malaysian Armed Forces in general and the Army in particular for 35 years from 1952 to 1987 and retired with the rank of Maj Gen. MACVA extends its deepest condolence to Datin Lilian Chong and family in their time of grief. Col Tony Joseph (KAD Rtd). 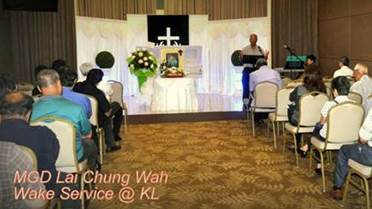 Veterans who attended the event on the 19 Apr 17 and pay their last respect includes former Malaysian Chief of Defence Forces Gen Tan Sri Yaacob bin Mohd Zain (Rtd) and Maj Gen Dato Dr Mohandas Ramachandran (KKD Rtd). Officers and soldiers of the Malaysian Royal Armoured Corps. 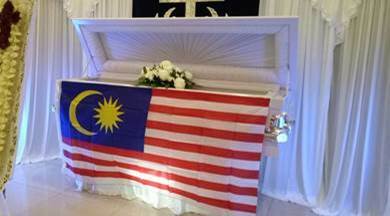 MACVA President Maj Tan Pau Son (KOD Rtd), MACVA Committee Members, MACVs and fellow Malaysian Armed Forces Veterans were present to pay their last respect to one of Templer's 12 and gave him a send off with dignity and respect that he truly deserve. MACVA would like to express its sincere appreciation and gratitude to all that have attended the wake and service. 光明日報 Guan Ming Daily Copyright ©2017 MCIL Multimedia Sdn Bhd (515740-D). All rights reserved. 星洲日报 Sin Chew Daily Copyright ©2017 MCIL Multimedia Sdn Bhd (515740-D). All rights reserved.